Even though social media tools are there to help you out, the great amount of available options can confuse you instead. Well, not anymore. 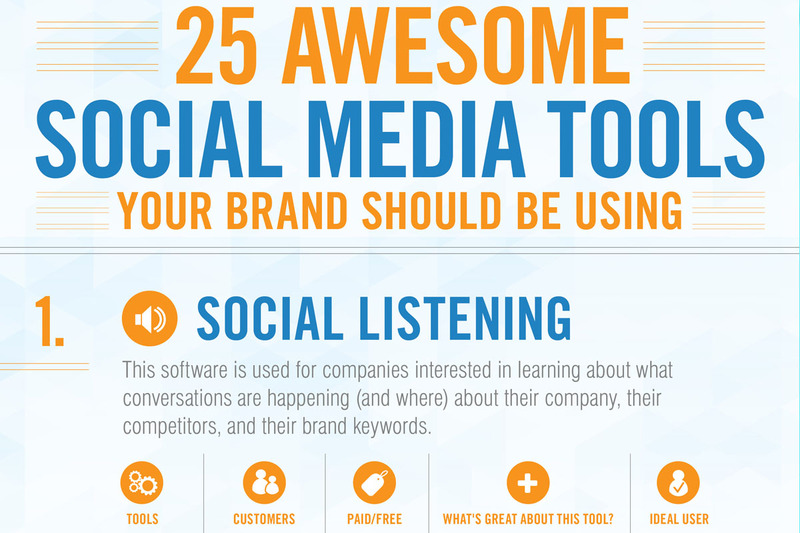 Here’s a great infographic by Social Media Strategies Summit that rounds up the 25 most awesome tools. Find the best options for social listening, monitoring conversations, optimising campaigns or identifying your most relevant social influencers.